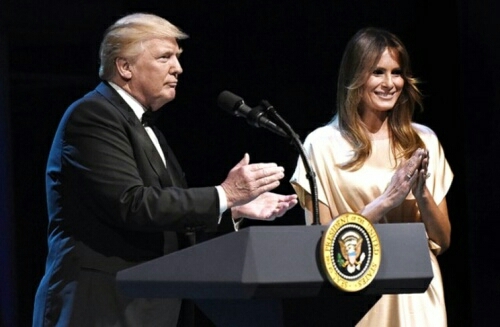 Melania Trump is planning a huge surprise birthday party for her husband and she wants the suport of every body in United States. In a quest to do that, she and her 11 year old son, Barron have decide to move to white house this Wednesday. If you recall, Former first lady, Michelle Obama did similar thing by collecting millions of electronic signatures on a surprise birthday card for Barack Obama’s 49th birthday in 2010. 0 Comment to "Melania Trump set to celebrate Donald's birthday in a grand style"